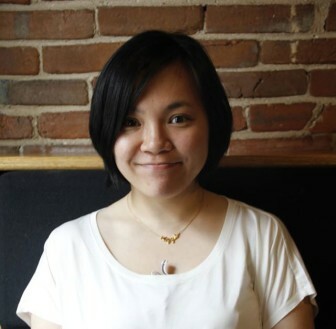 An IowaWatch story former reporter Lu Shen wrote about University of Iowa difficulty helping Chinese students adjust to Iowa in 2013-14 has won the Society of Professional Journalists’ (SPJ) Mark of Excellence Award for best online news story by a college journalist in 2014. 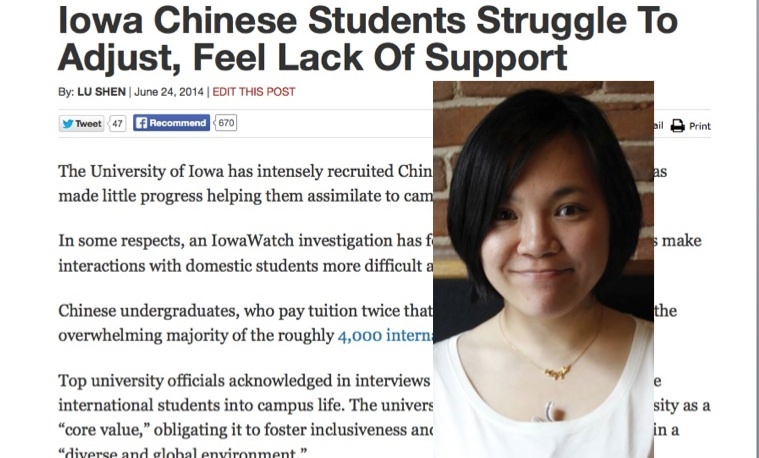 Shen, who joined CNN Beijing after graduating from the University of Iowa in December 2014 and also a former Daily Iowan reporter, was cited for the story, “Iowa Chinese students struggle to adjust, feel lack of support,” published on June 24, 2014. “I’m absolutely thrilled by the news,” Shen wrote in an email from China. “This story means a lot to me. My sense of mission as a journalist grew while I was working on it. IowaWatch received word of the award on May 6. This follows Shen winning the Region 7 award in the same category. The SPJ’s National Mark of Excellence award judges select one national winner from among the regional winners and up to two runners-up in each category. A full list of winners was to be posted in mid-May at the SPJ website. First-place national winners will be acknowledged at the Excellence in Journalism 2015 Conference in Orlando, Florida, Sept. 18-20. IowaWatch reporters Katie Kuntz and Sarah Hadley have won regional Society of Professional Journalists’ (SPJ) regional Mark of Excellence Awards for stories they did in 2013 for IowaWatch.org and news outlets that published their stories. Their awards were announced at a regional meeting April 25-26 in Overland Park, Kan. Additionally, former IowaWatch reporter Katelynn McCollough won first place for breaking news for work she did as a reporter at the Iowa State Daily newspaper, where is has been editor-in-chief this school year.